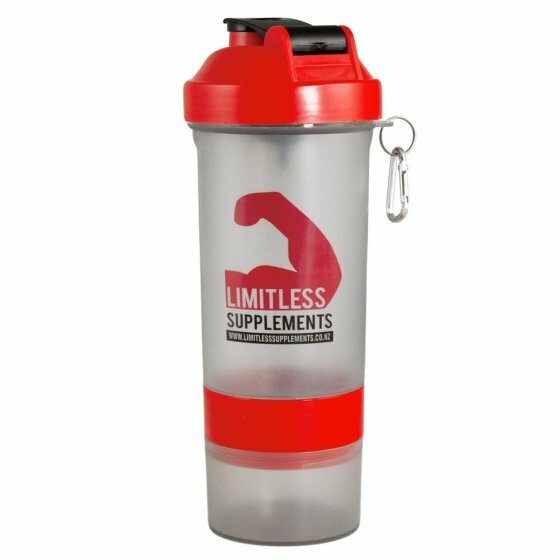 Preparation is the key to training success and replenishing those essential nutrients after your workout can be made easier with the new Limitless Smart Shaker. The Smart Shaker contains 3 individual compartments to hold both dry products and up to 600mls of water or milk, making it convenient to quickly and easily mix your post or pre-workout shake. A mesh upper filter insert is also included to provide a clump-free drinking experience and ensure minimal product wastage. An additional heavy-duty caribbean has also been added to clip your Smart Shaker to your training bag or where ever needed so you never miss your protein fix.